Since its founding in 2005, V.E. 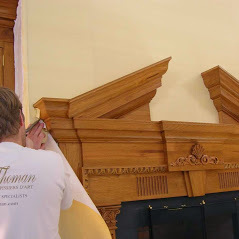 THOMAN has established itself as a unique business installing wall upholstery. The company uses highly innovative tracks for residential homes. 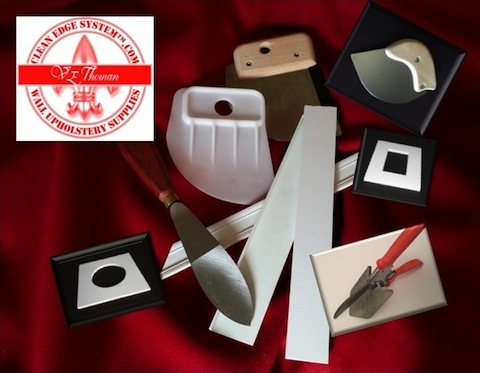 These products are named clean edge system because they produce a clean and simple finish. CleanEdgeSystem™.com is a VETHOMAN ‘s website making available all these upholstery supplies. Clean Edge System™ tracks and associated products are accessible to professionals in the industry. In today society, most homeowners taste lean towards simplicity and clean lines when it comes to interior decors. This particular line of products fits perfectly in a contemporary environment. The company believes that a great job starts with quality products. Try them! Eric A. Thoman is the founder of V.E THOMAN, LLC. Born in the United States and raised in Paris, France, Eric learned his trade as a Master Craftsman. He studied at Ecole d’ Ameublement de Paris, Ecole de la Bonne Graine. He acquired an extensive experience working for the high-end French workshop. As time past, Eric’s passion for wall upholstery grew. Among, the list of famous historical monuments in Europe, Eric work is visible at Château de Versailles, Château La Malmaison to name a few. Then, moved to Casablanca, Morocco where he was the managing director of the Upholstery Department for the King’s palaces. Some years ago, Eric finally achieved his goal with a clean edge system track. Also, he has invented a range of items complimentary such as compensation switch plates for outlets, sconces plates, and spatula. He is still working on new products to improve wall upholstery installation. Eric works with each product over and over until each item passes the test before getting in your hands. Upholstery hand tools and tracks are supplies selected for their efficiency. Ultimately, Mr.Thoman commits to providing his customers with the best products. Thank you for visiting the company profile page.